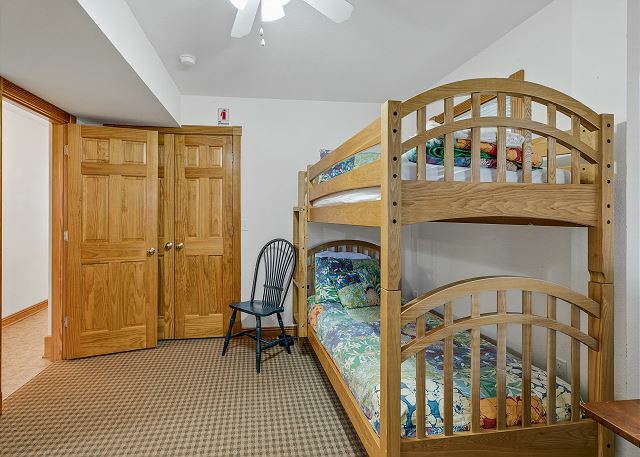 Escape and enjoy an amazing vacation when you stay in The Finn Inn! 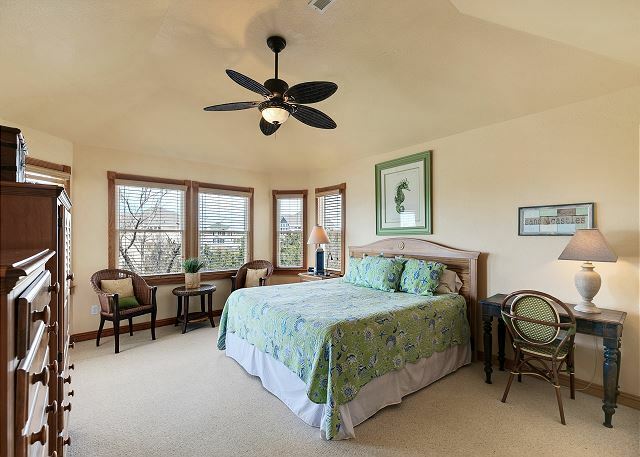 This beautiful 6 bedroom home features 2 Master Suites, a private hot tub and is located Oceanside in the Crown Point neighborhood. 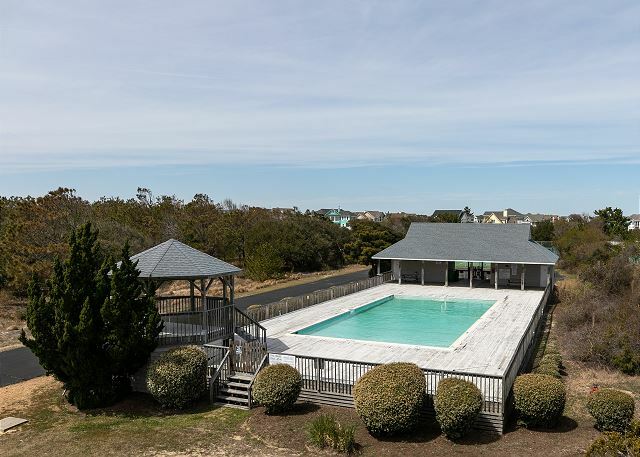 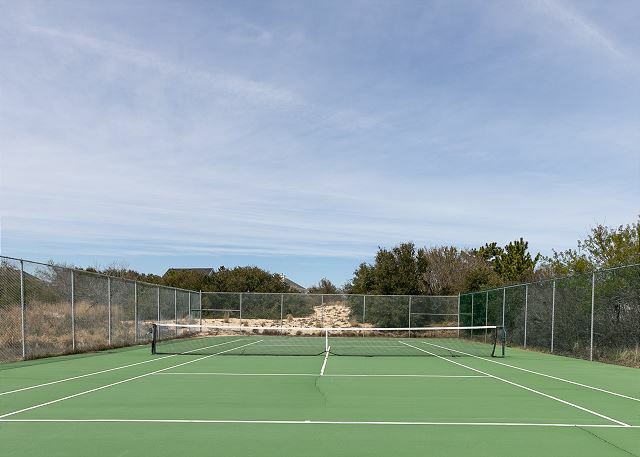 Just a few steps away is the the Olympic-sized outdoor community pool and tennis courts, plus the house is only 260 yards from the beach access. 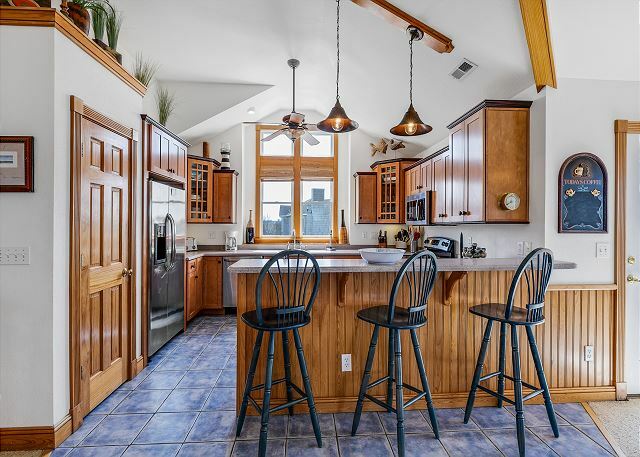 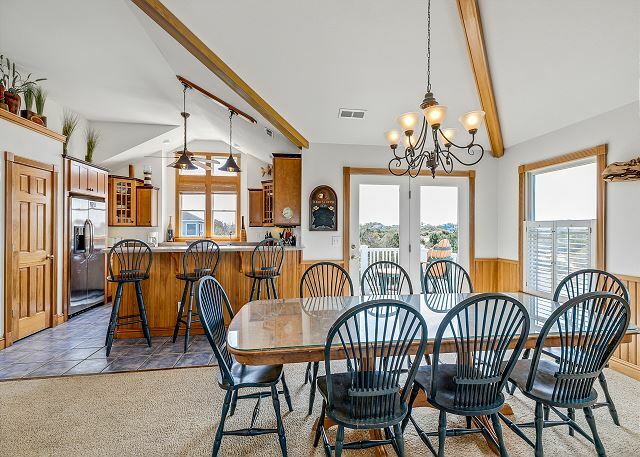 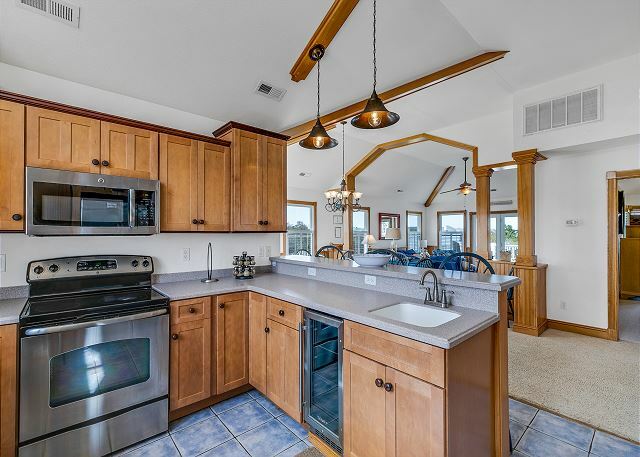 Spacious and tastefully updated kitchen with stainless steel appliances, additional prep sink, beverage center and island (seats 3). 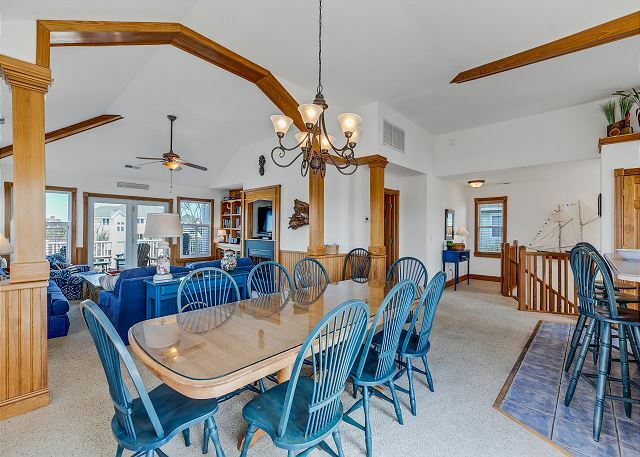 The open concept floor plan features a large dining room table (seats 8), great room with flat screen TV, gas fireplace and deck access. 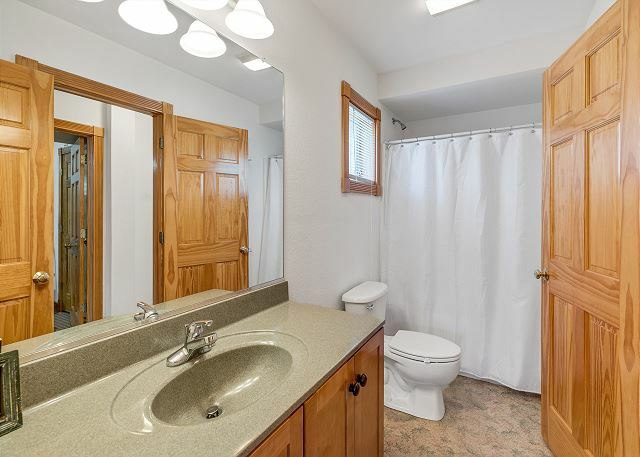 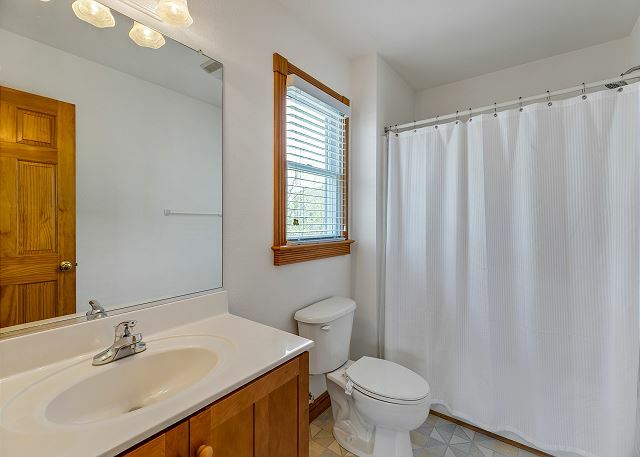 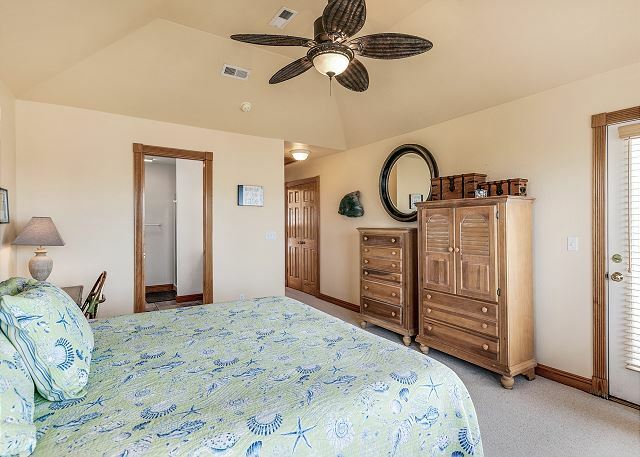 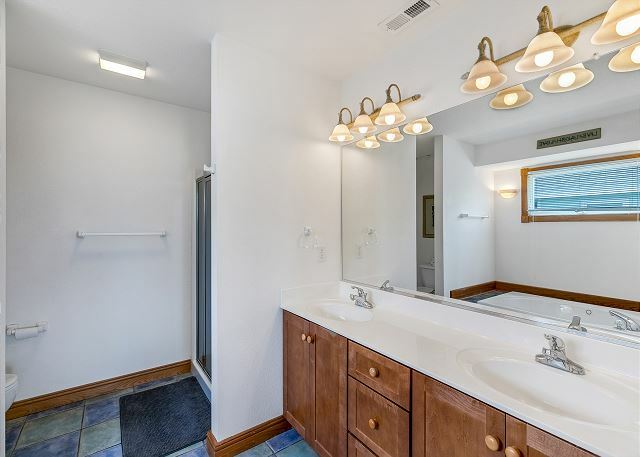 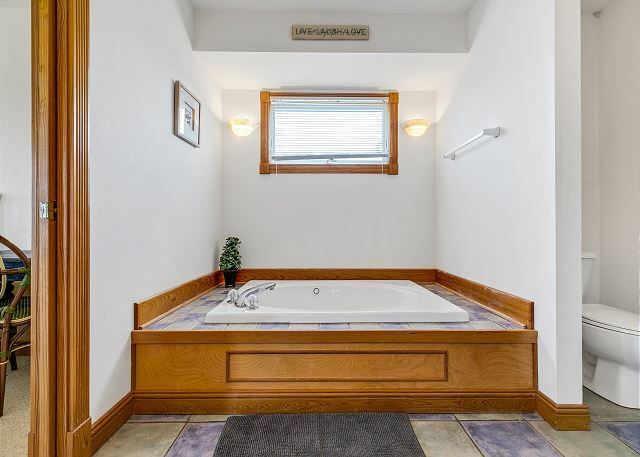 On this level you will also find a King Master Suite complete with a sunken jetted tub. 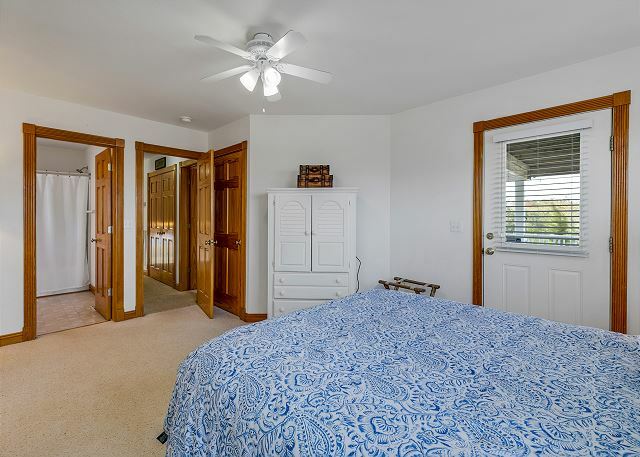 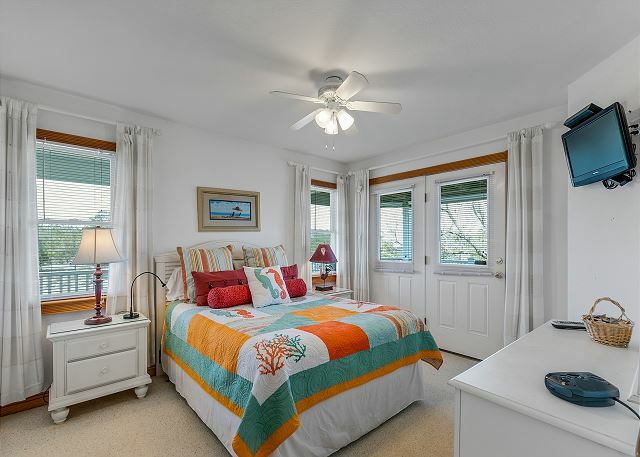 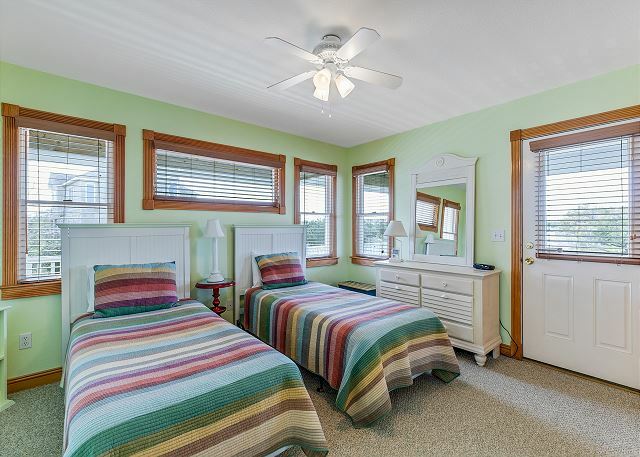 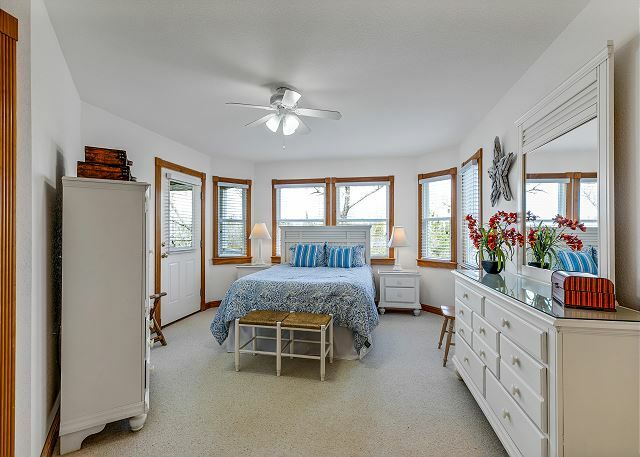 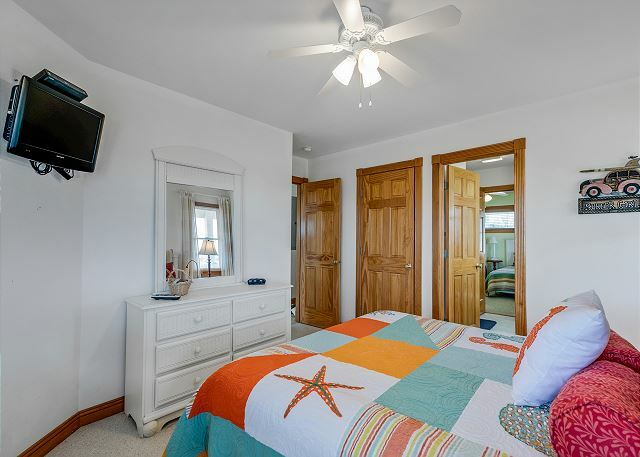 On the middle level each bedroom has deck access and you will find a Queen Master Suite, a Queen Jr. Master which shares a JacknJill bathroom with a 4th bedroom that has 2 Twin Beds. 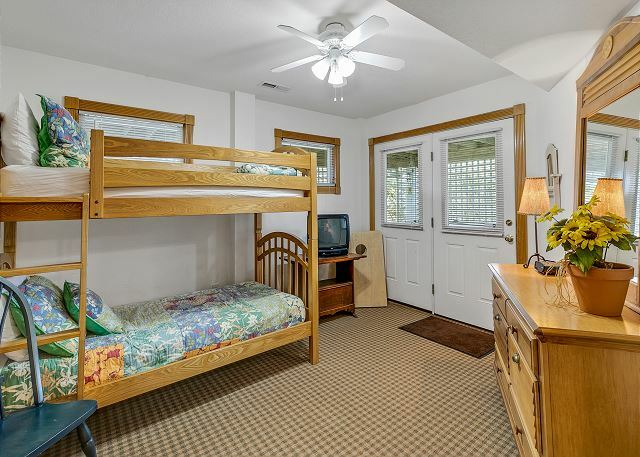 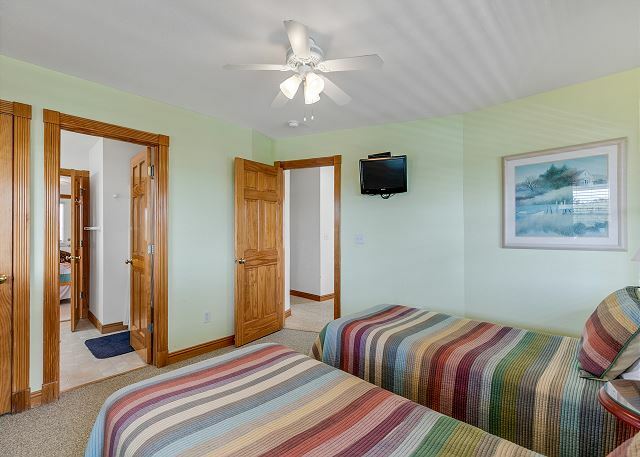 The kids will enjoy the ground level with 2 bedrooms: one features a bunk bed with a box TV for gaming on the PlayStation II and the other features a daybed and trundle, Foosball table and flat-screen TV. 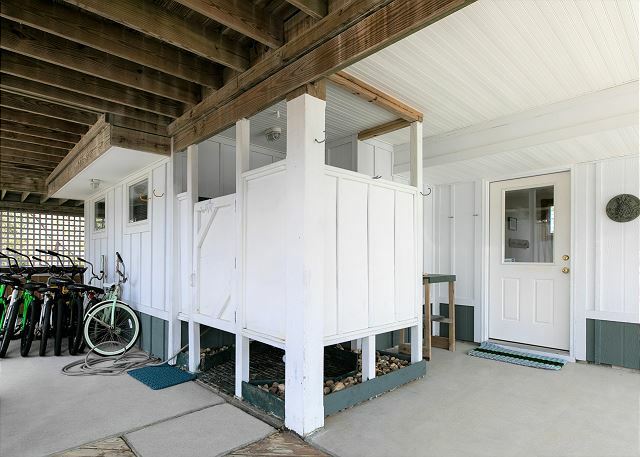 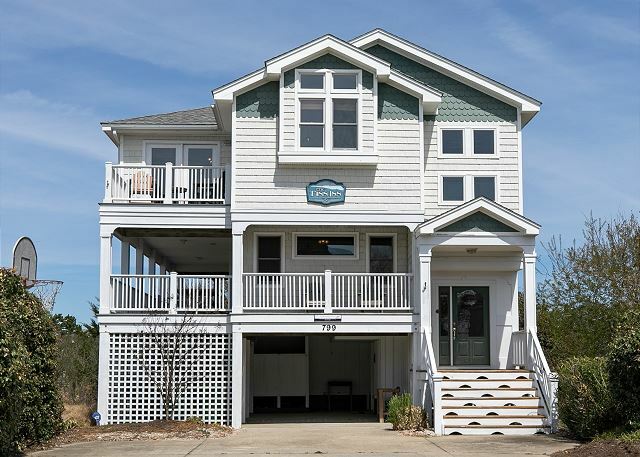 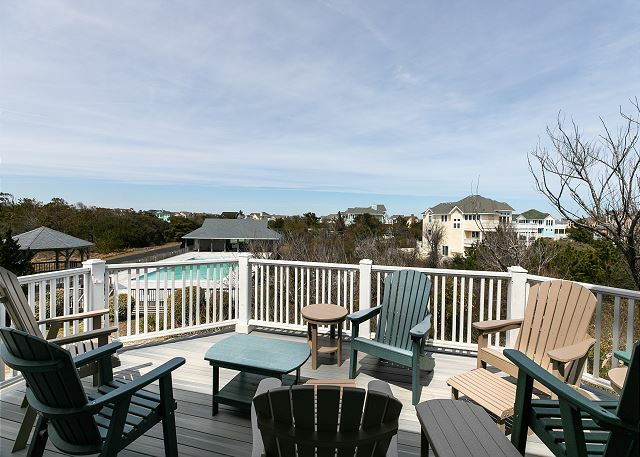 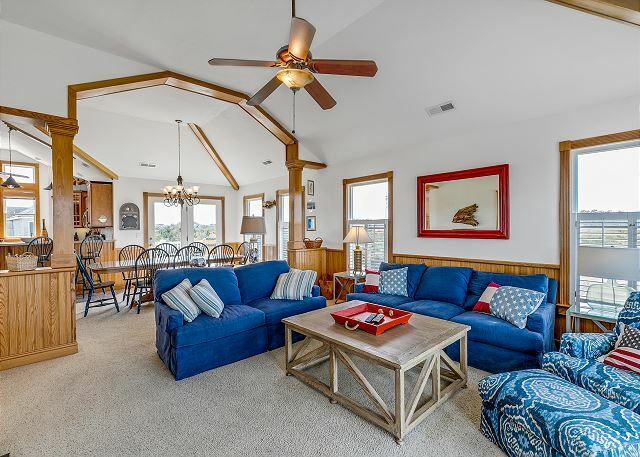 Outside enjoy the hot tub, hammock, ample decks, large outdoor shower, basketball hoop and private sitting area in the yard with a charcoal grill which is the ideal location to wind down after a day spent making cherished memories at the beach! 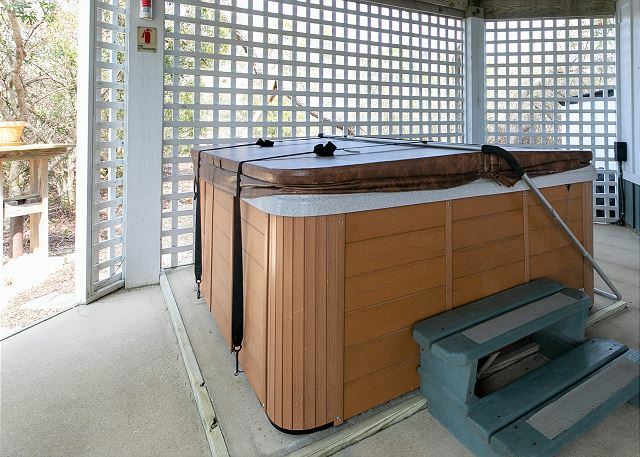 Lovely property in excellent location with wonderful community pool. 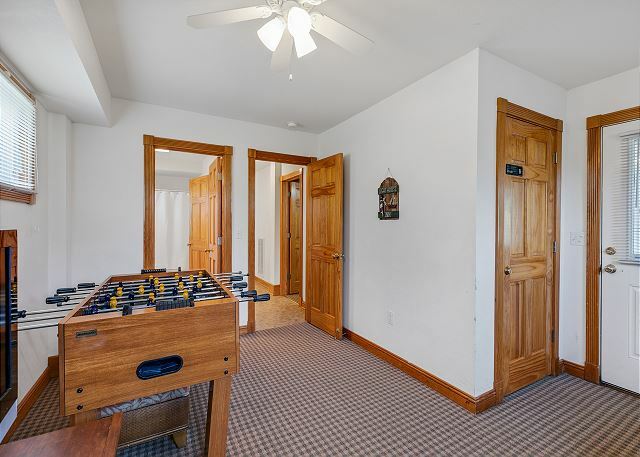 Property was in an excellent location and well maintained. 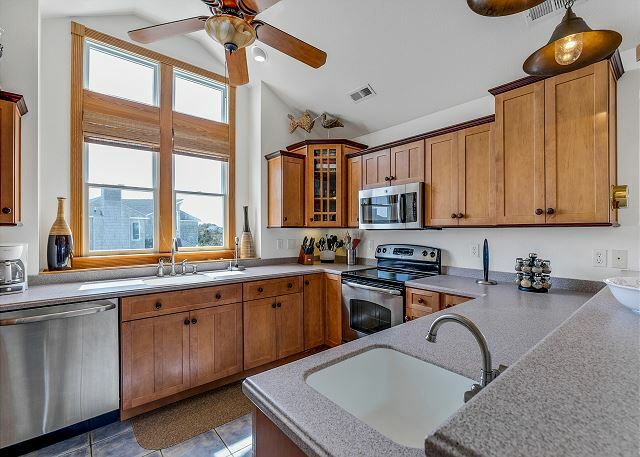 Really well-equipped kitchen.